Stories are among the first kinds of continuous discourse we learn. From the time we are children, we all tell stories to achieve a multitude of ends--to amuse, to warn, to excite, to inform, to explain, to persuade. Storytelling is fundamental to human behavior. No other form of prose can communicate large amounts of information so quickly and persuasively. Assumpsit against a surgeon for breach of an alleged warranty of the success of an operation. Trial by jury. Verdict for the plaintiff. The writ also contained a count in negligence upon which a nonsuit was ordered, without exception. Appellants, defendants and counter-plaintiffs in the lower court, appeal a summary final decree for appellees, plaintiffs and counter-defendants below. Is it any wonder that beginning law students come to class anxious and confused? The case method of instruction requires them to prepare for class by reading--unaided except for an ever-present law dictionary--judicial opinions selected from what has been called "the largest body of poorly written literature ever created by the human race" (John Lindsey, writing in the New York Law Journal). The clearer any story seems to any reader, the more easily that reader will understand it. The more easily that reader understands your story, the longer and more clearly he or she will remember it. Similarly, Deborah Schwedemann and Christina Kunz, in their book Synthesis: Legal Reading, Reasoning, and Writing, encourage law students to approach cases as if they were fables. "Fables consist of two components: the story and its moral, which suggests an outcome for similar stories occurring in the future," they write. "Cases, too, contain a story and a moral…. " That approach is a good strategy, not only for novice law students, but also for the drafters of judicial opinions. The case method has been firmly entrenched in American law schools for over 100 years. Despite perennial student complaints, it will continue to be a mainstay of the first-year curriculum for generations to come. If more appellate judges would adopt the Denning/Cardozo style of telling memorable stories, perhaps law students would actually enjoy doing their homework. 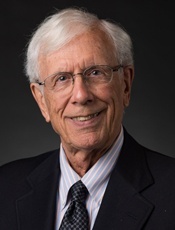 The author, Otto Stockmeyer, a former judicial law clerk, is a Distinguished Professor Emeritus at Western Michigan University-Cooley Law School. His series, “Beloved Storytellers,” is adapted from an article he wrote for the Thomas M. Cooley Law Review. His previous WMU-Cooley blog posts are available here. Western Michigan University Thomas M. Cooley Law School is an independent, private, non-profit educational institution affiliated with Western Michigan University. As an independent institution, the Law School is solely responsible for its academic program. Accredited by the American Bar Assocation and the Higher Learning Commission. In corde hominem est anima legis.